Directions: Cut the figs top to bottom in slices about 1/4-inch thick. 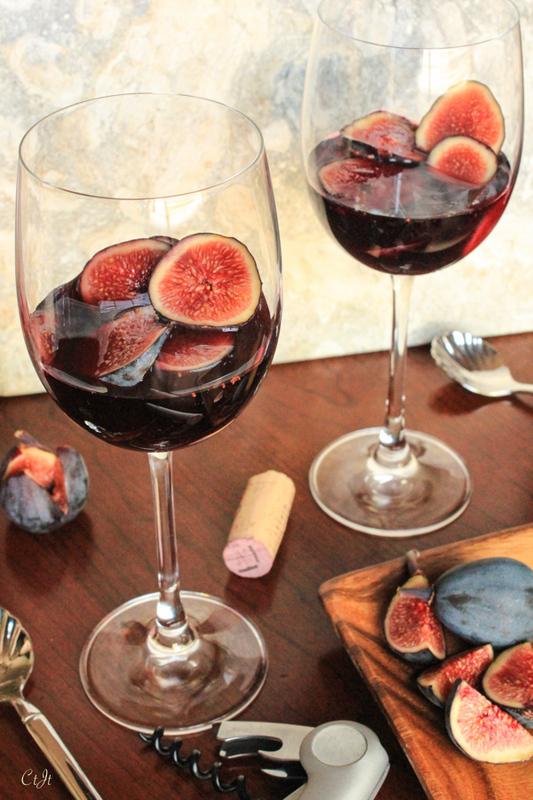 Add two sliced figs to the bottom of a wine glass. Pour in enough wine to nearly cover the figs, more or less as desired. To serve, pair each wine glass with a spoon and enjoy at room temperature. Raise your hand if you often find yourself out of time to make a nutritious breakfast in the morning! Mixing up a batch of no-cook overnight oats is easy, healthy and delicious. Plus, it can be portable, if necessary, if made in a mason jar for the mornings when you really need to jet. We love this because all the ingredients are kept in their raw state, and they taste so good you won’t even miss that the dish is served chilled. Inspired by Half Baked Harvest. Serves 2 to 4. Directions: In a medium bowl, mash the ripe bananas with a fork until smooth. Add the oats, milk, yogurt, maple syrup, chia seeds and salt. Stir well to combine. Divide the mixture into 2 or 4 medium jars* or bowls. Cover and refrigerate at least 6 hours or overnight. 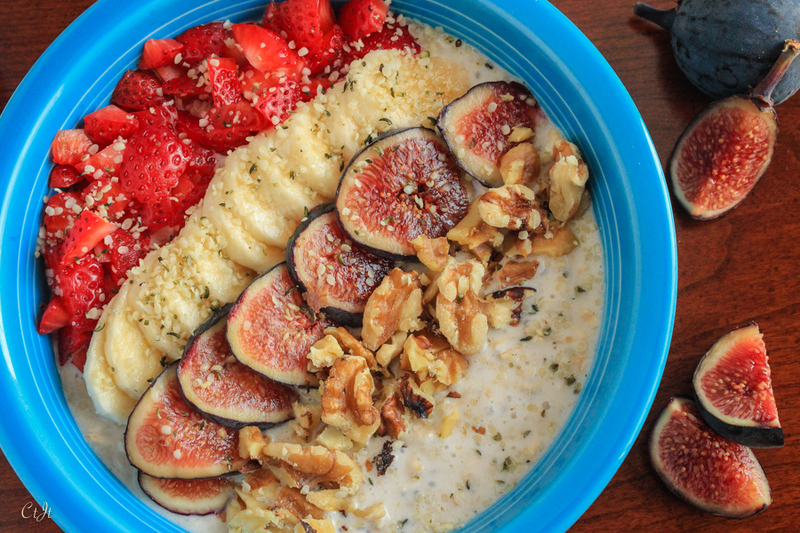 When time to eat, garnish the servings with diced strawberries, sliced banana, sliced fresh figs and walnuts. Sprinkle the whole dish with hemp seeds and drizzle on more maple syrup, if desired. Serve chilled.